A couple of weeks ago I was tagged by my friend Laura in the ‘top 10 tag’ where you basically take a picture of your top 10 beauty products, in my case skincare. 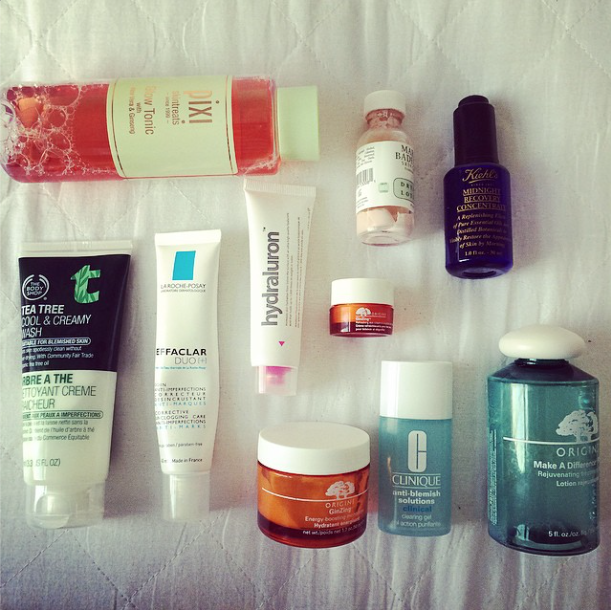 So here you go, my 10 ten favourite skincare products of this year. If you find any of these products interesting all of my reviews are in the Product Directory Section.